How Does Bankruptcy Affect Loan Modifications? You can be considered for a mortgage modification under government-mandated programs, such as the Home Affordable Mortgage Program, while you are in bankruptcy, regardless of whether you file for Chapter 7 or Chapter 13 bankruptcy. The procedures may vary depending on the chapter you choose, whether the underlying property can be claimed as exempt, and where you are in the modification process. A mortgage modification is an agreement between the property owner and mortgage holder to change the payment terms of the original contract. If you have fallen behind in your payments or are unable to make future payments, you might apply for a modification so you can keep your home. Bankruptcy can discharge, or relieve you of, personal obligations on your mortgage debt, but it doesn't remove the mortgage from the property. As a result, the mortgage holder can still foreclose on the property unless you make payments. However, bankruptcy may make it easier to make your mortgage payments by discharging other debts. The most common types of bankruptcy for individuals are Chapter 7 and 13. Chapter 7 is a liquidation, in which the trustee sells all of the assets you are not allowed to claim as exempt and keep under the law and uses the proceeds to pay creditors. In a Chapter 7, mortgage modification makes sense only if you can exempt and keep the underlying property. Chapter 13 is a court-supervised repayment plan. In Chapter 13, you generally keep all of your property and pay creditors over three to five years. You may be able to pursue a mortgage modification for residential investment property in a Chapter 13 as well as for your home. If you have obtained a modification prior to filing your Chapter 7 bankruptcy, and the property can be claimed as exempt, you can continue to make the modification payments and keep the house. If you apply for a modification after you file, but before you receive a discharge, your mortgage servicer is required to consider any application submitted by you or your attorney. The servicer may even accept the bankruptcy schedules in place of all or part of the lengthy application. If you apply after you have been discharged, the servicer is required to consider your application without requiring you to reaffirm, or reinstate, your personal obligation on any discharged mortgage debt. If you file under Chapter 13, and do not have a modification in place before you file, your attorney must disclose your intent to modify in your plan. The servicer must consider your application while your Chapter 13 is pending and, if granted, must cooperate with you and your attorney to obtain court approval. In Chapter 13, court approval is required before you can incur any new credit obligation. Other than this requirement, the Chapter 13 bankruptcy is not likely to interfere with a trial modification that was in place before you filed or a modification that was completed prior to filing. In addition to mortgage modification, you can use "cramdown" or "lien stripping" to reduce or eliminate certain mortgages in bankruptcy. In Chapter 13, cramdown can reduce mortgages on over-encumbered residential investment property to the actual value of the property. However, you cannot use cramdown to reduce a mortgage on your home. Lien stripping is a procedure that can remove second mortgages on residential properties, including your home, where the first, or senior, mortgage exceeds the property value. However, lien stripping cannot be used to reduce the amount of the mortgage, but only to remove it entirely. In most districts, lien stripping can not be used in Chapter 7. Filing for Chapter 7 bankruptcy is a means to discharge your debts and get a financial "fresh start." 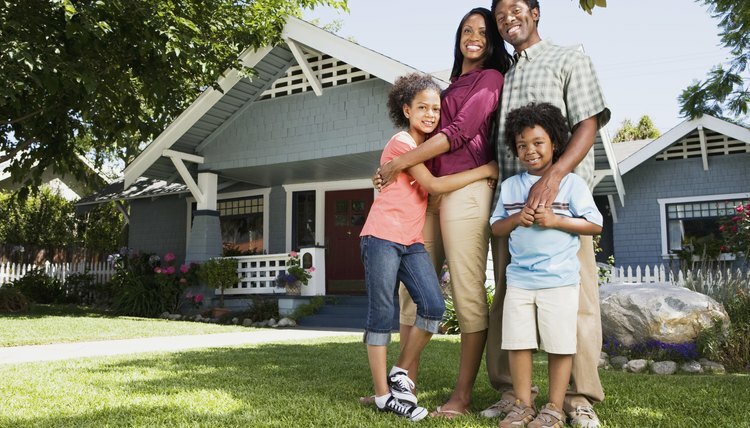 A home mortgage is a debt secured by property: the home in which you live. Filing for bankruptcy does not cancel your obligation to repay a loan if you remain in the home, nor does it end the bank's lien on the home, in case you should default on the loan. During a bankruptcy, you should consider the pros and cons of "reaffirming" your mortgage agreement. Are Rent Arrears Cleared by Bankruptcy? Does Chapter 7 Cover Student Loans?